What role did science play in nineteenth-century Dutch cultural life? This fascinating slice-of-cultural-life book unveils the significance of Artis as both a scientific center and the cultural hub of the city. 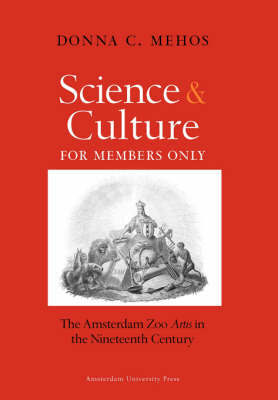 It links exhibits of exotic animals and colonial artifacts, concerts, scientific research, and social exclusion to the rise of national consciousness among nineteenth-century Dutch middle classes. The author highlights Dutch society and its efforts to display colonial wealth before it supported what is traditionally seen as high culture. Artis flourished with the help of significant private funding at a time when monumental institutions such as museums and concert halls had yet to appear on the Dutch cultural landscape. Artis was a private institution open to members only that held an unprecedented pride of place in Dutch society.